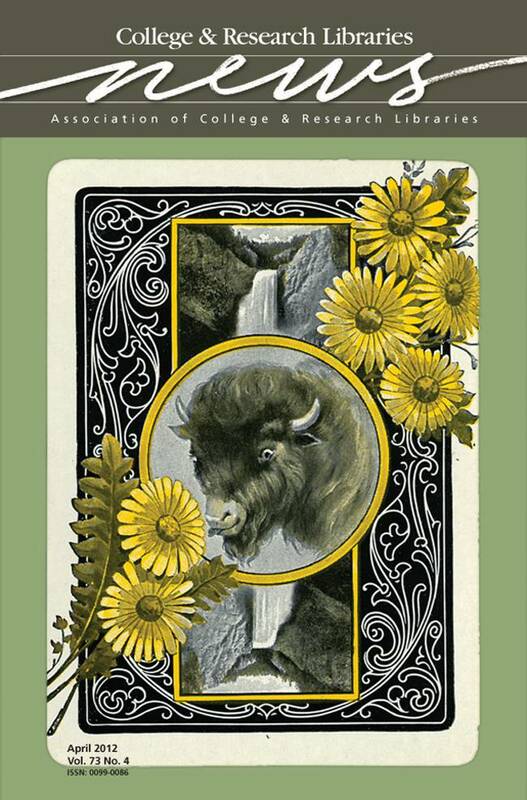 This month’s cover image is the back of the cards in the “Game of Yellowstone” manufactured by the Fireside Game Co. Depicted are symbols of Yellowstone: a bison, wildflowers, and the Lower Falls of the Yellowstone River. Sold in the curio shops at Yellowstone National Park around the turn of the 20th century, the game features 52 different views of natural features found in the world’s first national park. The “Game of Yellowstone” is from the University of Wyoming Libraries Grace Raymond Hebard Collection. The collection is considered to be the most comprehensive collection of published works about the State of Wyoming and is recognized as one of the top repositories holding materials related to Yellowstone National Park. A complete description of the Emmett D. Chisum Special Collections can be found at http://libguides.uwyo.edu/chisum.